Something I often get questions about is how to grow your team the right way at the right time in order to grow and scale your business. 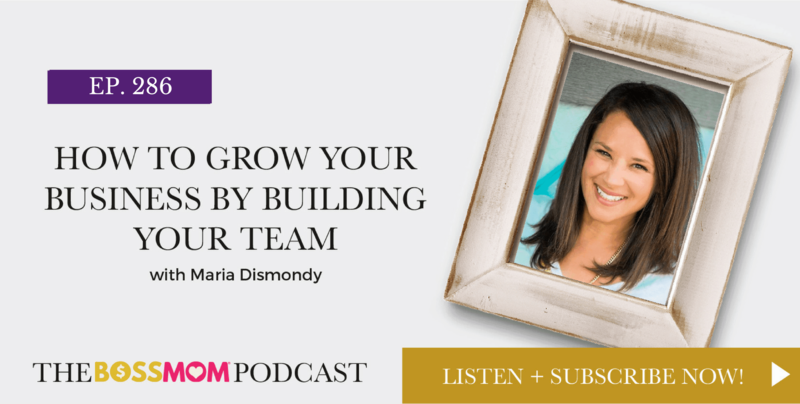 After the last Boss Mom Retreat I received a message from my good friend and author Maria Dismondy who shared that following the retreat, she hired several new team members that she’d met while attending, and was already experiencing growth as a result. So, to explore this idea of refining and growing your business by building your team I invited Maria on today’s episode to share her insights and experience, which I think you’ll find massively helpful.